One of the most common procedures performed in cardiac surgery is heart valve replacement, which makes up nearly a quarter of the total procedure volume. According to international market research and consulting firm, iData Research, over 182,000 heart valve replacements per year are performed in the United States. The primary method for treating heart valve conditions is through open surgery to place a replacement valve. Surgical heart valve replacement procedures can be performed using tissue or mechanical heart valves. Tissue valves have been gaining popularity over the alternative mechanical valves because tissue valves are more biocompatible and do not require lifelong treatment with anticoagulant medication. However, mechanical valves are more durable and are designed to last for 20-30 years, whereas bioprosthetic valves last 10-15 years. 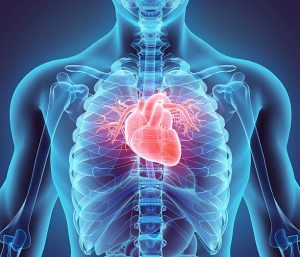 Some patients with heart valve problems are poor candidates for valve replacement surgery because they may be too ill to undergo such an invasive procedure. Therefore, there is a great deal of interest in the development of minimally invasive solutions, namely, transcatheter heart valve replacement (THVR) devices. In fact, the segment within cardiac surgery with the largest market value in 2017 was the TAVR market, which accounted over one third of the total cardiac surgery market value. TAVR is a rapidly growing segment and is projected to maintain its dominance in this market over the next 7 years. The trend towards minimally invasive procedures will drive growth in the TAVR market, cannibalizing the market for surgical aortic heart valves. Edwards Lifesciences was the first company to develop a transcatheter aortic valve replacement device, followed by Medtronic. With the success of Edwards Lifesciences and Medtronic, other major competitors have taken steps to enter the market. Abbott and Boston Scientific have developed their own TAVR products but have yet to obtain FDA approval. Currently, many types of minimally invasive procedures, such as transcather mitral valve replacement (TMVR), do not have FDA approval in the United States or Europe. However there has been great interest in this market recently; Medtronic, Abbott, Boston Scientific, Edwards Lifesciences, and LivaNova each have made moves to acquire TMVR start-ups over the past few years. The TMVR market is projected to be even larger than TAVR. As TMVR devices receive FDA approval, minimally invasive procedures are expected to grow at a much higher rate and cause open heart mitral valve replacement procedures to decline. More research on the heart valve replacement market can be found in the full report suite titled U.S. Market Report Suite for Cardiac Surgery and Heart Valve Devices, which provides a comprehensive report on units sold, market values, average selling prices, procedure volumes, forecasts, as well as detailed competitive market shares and analysis of all major competitors. This cardiac surgery suite of reports include segments for tissue heart valves, mechanical heart valves, annuloplasty repair, transcatheter heart valve repair, transcatheter heart valve replacement, on-pump coronary artery bypass, off-pump coronary artery bypass, endoscopic vessel harvesting, anastomosis assist, transmyocardial revascularization, ventricular assist devices, intra-aortic balloon pumps, artificial heart replacement devices, remote hemodynamic monitoring systems, patent foramen ovale closure devices, atrial septal defect closure devices, ventricular septal defect closure devices, and left atrial appendage devices closure devices.